What do you get when you cross s'mores with Rice Krispie treats and Reese's? Heaven!! So this dessert is what happens when you combine s'mores with Rice Krispie Treats and Reese's cups and it is wonderful. There is so much crunch to it and it's also delicious. If you haven't tried a s'mores with a Reese's cup instead of a Hershey's bar, I highly recommend it! It's my favorite way to eat s'mores. All the elements together work so well and it's really such an easy dessert to make. You don't have to be ridiculously skilled at making desserts to make this. You layer most of the ingredients and the other half is just melting a chocolate mixture in the microwave and stirring peanut butter and Rice Krispies into it. So anyone can make this. If you have kids (or have friends with kids or you're an aunt/uncle/cousin etc to kids), this would be a great recipe to make with kids of any age. The perfect summertime alfredo dish that is quick and easy to make! Once summer hits, I want to eat all the zucchini I can because I know once August is over, the pickings are slim and I'm not going to find zucchini as much. This summer, zucchini just seems to have disappeared off the face of the earth at my local grocery store and it really bums me out. I keep trying to plan stuffed zucchini and then get to the grocery store and have to sub a different recipe for the week in for stuffed zucchini. I really like this particular recipe because I don't think I have had zucchini in alfredo. It was a pretty simple recipe and it didn't take long to make. I like how the sauce is cooked in the same skillet as the zucchini and chicken and gets all that goodness that is leftover into the sauce. What's better than steak? Steak covered in cheese, tomato, basil, and balsamic vinegar! Every time we have steak for dinner, I wish we ate it every single day. At the same time, I'm glad we don't because one, OUCH, my wallet - and two, then it wouldn't be so special when we did have steak. I would never say no to a regular steak with salt, pepper, and butter, but I also love trying new things and I was definitely sold on the caprese idea. Steak is steak, but when you add cheese?! That's a match made in heaven right there. Throw a little tomato and basil with it and it's gonna be the very best steak you've ever had! Roasted jalapenos and bacon take this egg salad recipe to the next level! I don't really get to enjoy egg salad very often because I'm the lone wolf in our house. I think Cami would like it if she tried it, but otherwise, it's just me. I have had this Roasted Jalapeno Egg Salad recipe saved for years, but had no clue that it was a one serving recipe. I planned on making it for myself for lunch and eating it for a few days. I was a little surprised, but happy to see that I didn't have to refrigerate it at all because honestly leftover egg salad, tuna salad, and chicken salad freaks me out a little. The recipe itself was fairly easy to make. It did have a few steps to go through, but overall, it wasn't a lengthy recipe or very advanced. I added bacon bits to my mix because you can't have jalapenos and cheese without bacon! I served it up on sourdough bread, which is one of my favorite kinds of bread. Overall, this is easily my favorite recipe for egg salad. It's definitely the best egg salad I have ever eaten. It reminds me of jalapeno popper deviled eggs and I love that. I'd much rather make egg salad than deviled eggs. Because if you mess up peeling the egg for an egg salad sandwich, it's no big deal. No boring chicken for dinner when you can stuff it with pizza fixings! I am always looking for new ways to fix chicken because lately I've had a bit of chicken aversion. All three times I was pregnant, I had a chicken aversion and sometimes it comes back and rears its ugly head even though I'm not pregnant. I saw the video featuring this hasselback chicken on Buzzfeed Food and knew I had to try it out. Their directions were for one serving, so I modified it to fit my needs and left it open-ended down below. I find that I didn't put a teaspoon of sauce in each slit and I definitely think the mozzarella slices was a little too vague. So with the modified recipe, I ended up with a fairly easy chicken dinner. I loved the addition of all the pizza fixings plus the cheddar cheese on top. It tastes like a pizza and that was exactly what I needed that particular day! A fancied up fried chicken recipe with tons of bright lemony flavor and delicious sage to top it off. Sage is one of my favorite spices, but I don't use it enough and I don't know why! I absolutely could not wait to try this recipe out because it also has lemon with that sage. I was interested in the fried sage leaves, not sure how that would turn out, but it was fantastic! The breaded chicken with lemon wedges and fried sage leaves with a little sauce to top it off...was all so wonderful. I love the days where I get to share old recipes from my archive, favorites that I may have forgotten about. Today is cakey :) First up is STRAWBERRY BANANA CAKE MIX BREAD. I love the combination of strawberry and banana. I also love using cake mix for things other than cake because...why not!? The other cakey recipe is cake and it is this delicious DOUBLE RUM CAKE. It's a Paula Deen recipe and it was absolutely fabulous. 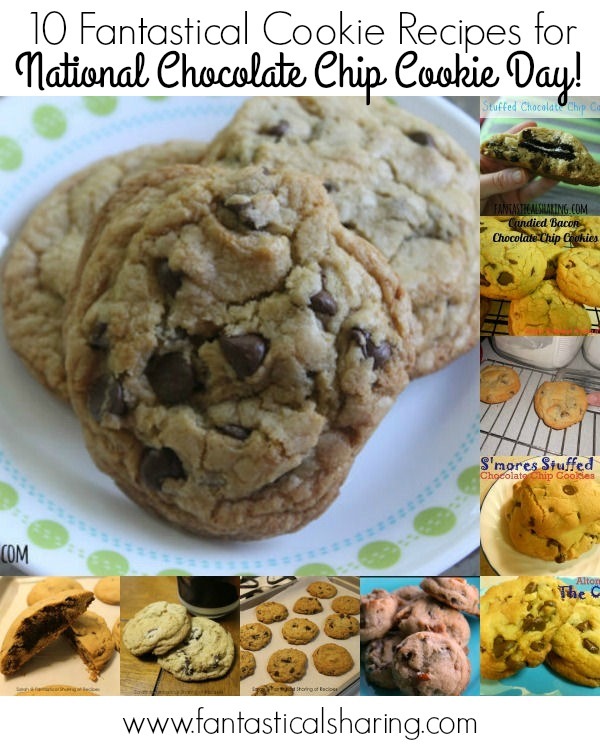 Fantastical Friday: Happy National Chocolate Chip Cookie Day! Happy Friday and Happy National Chocolate Chip Cookie Day! 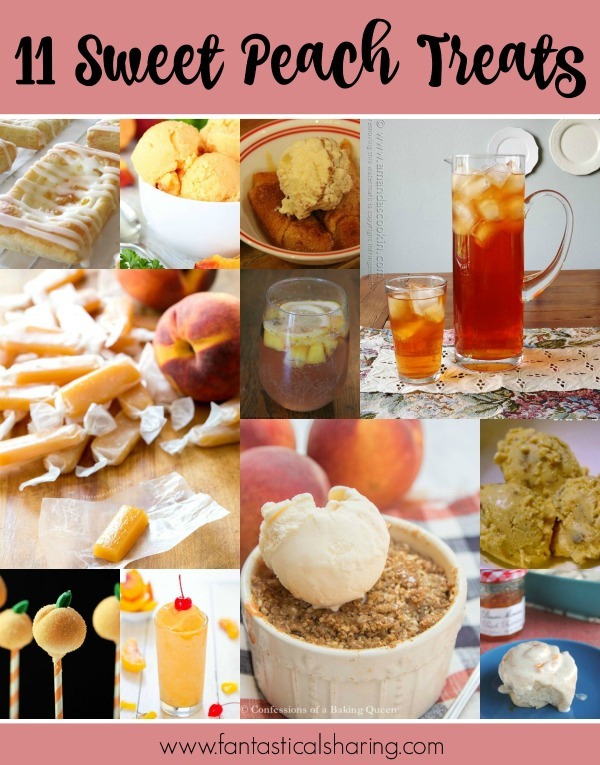 Many of the last themed Fantastical Fridays I have shared have included a combination of recipes from other blogs and my own. Some of them don't include any of my own blog's recipes. 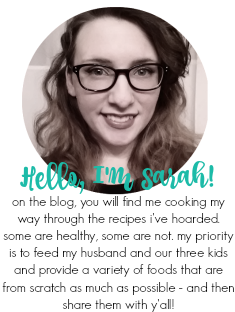 Today, however, all the recipes are from my blog and they are all, as you may have guessed, chocolate chip cookie recipes! I had a few chocolate chunk recipes, but I didn't include those. So without further ado, let's get into all these cookies! This no bake pie is the perfect summer dessert that will bring you back to your childhood!